Though part of the much-loved Loire Valley region of central France, Blois has a reputation to be grim, grey and foggy. And though Blois does not have the same fairy-tale charm as the magnificent Chateau du Chenonceau, nor the impressive grandeur of Chateau de Chambord, it has its own gems. One such gem is the Church of Saint-Nicolas (not to be confused with the Cathedral of Blois), an impressive remnant of the Middle Ages in Northern France. Founded as an abbey in 1138 by Benedictine monks fleeing from the Normans, the Romanesque–Gothic church took nearly a century to complete. The abbey section of the complex was destroyed by the Protestant Huguenots during the bloody and long-suffering Wars of Religion. In fact, Saint-Nicolas was built relatively quickly for the time, though a hiatus of about 20 years means Saint-Nicolas has two different marked architectural styles. 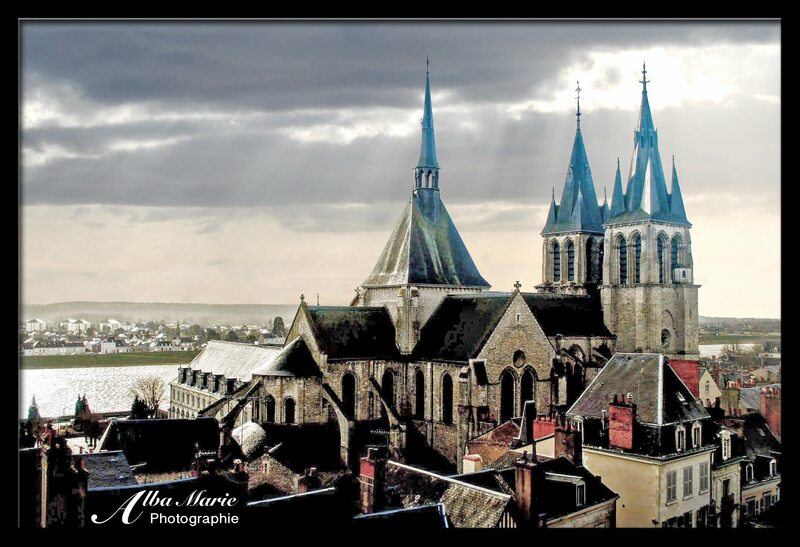 Blois itself is a town that often gets overlooked from Loire Valley visitors, who come to the region to admire the fine Renaissance chateaus. Blois does indeed have a castle (though not on par with the other Loire Chateaux) but it is its northern streets and ancient architecture such as this church that make Blois stand out. Well that – and the fact that in 1429, French hero Joan of Arc made Blois the base of her operations – riding out from the city 35 miles on Wednesday 29 April to relieve Orléans, what is today known as the Siege of Orléans during the 100 Years War (France’s first major victory since Agincourt in 1415). Pro tip: Blois can be a good base for people visiting Loire Chateaux. The closest one to Blois is the massive and magnificent Chateau de Chambord, only 15km from Blois. See more about getting to the castle by car or public transport here. Is it a spaceship? A torpedo? Or just a really unusual church? 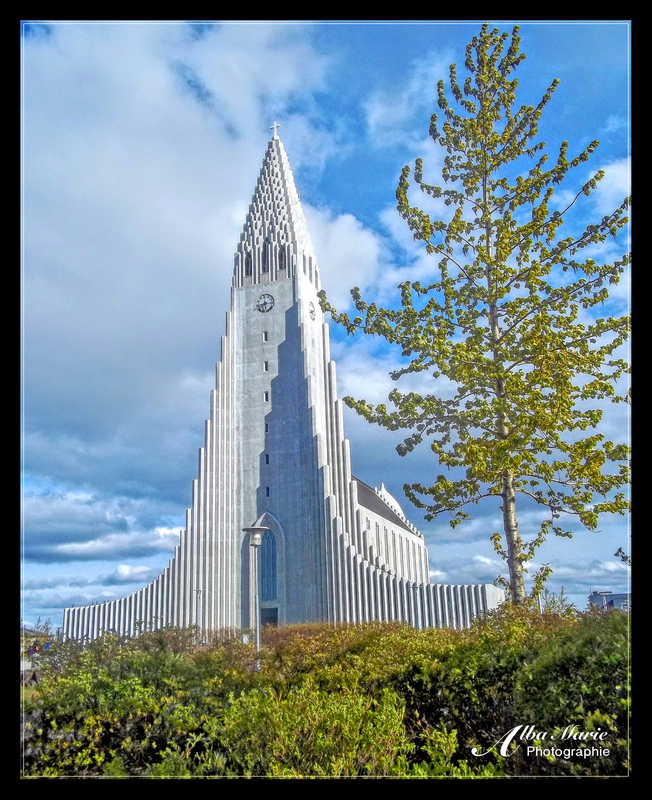 One of Reykjavik’s – and Iceland’s – most iconic landmarks, the ultra modern Hallsgrimkirkja Church in downtown Reykjavik is somehow also reminiscent of the dramatic and bizarre worlds found inside of the Icelandic Sagas. The Hallsgrimkirkja also sports an observation deck for aerial city views and a statue of Leif Eriksson, the man often credited as the first European to arrive in the Americas hundreds of years before Columbus. Only finished in 1986 and standing atop one of Reykjavik’s highest points, the Hallsgrimkirkja is some 74 metres high, making it the largest church in Iceland and one of the tallest structures on the island. Iceland is a strange place. Remote, isolated, cold, inhospitable, Iceland is also home to some of the most enduring tradition, mythology and storytelling in Europe. For such a small, remote place, this Nordic country is one of Europe’s most progressive. Home to about 340,000 people (of which nearly half [122,000] live in the capital), it actually has one of the lowest (if not the lowest) unemployment rates, one of the highest standards of living, and some of the most jaw-dropping landscapes – including some spectacular volcanoes – in the whole world. In the winter, it might still be light out at midnight or later, meaning that in the winter, some days only see a few hours of daylight (though on the up side, that means higher chances of spotting the Aurora Borealis, or the Northern Lights!). It is a country of myth and legend, of fire and snow, of ancient and modern. This small place packs a bundle! Pro tip: Though only available to those ready to brave the cold (even in summer), it is actually possible to SCUBA dive between two tectonic plates – it doesn’t get cooler than that! For those who prefer to stay a bit warmer (or to warm up afterwards), Reykjavik and Iceland in general is full of hot springs heated naturally by the piping hot water from the volcanoes. Whether you prefer a dramatic outdoor pool or a modern pool in the city, there are plenty of options (though as this is popular with tourists and locals alike, don’t expect it to yourself. Iceland is sadly victim to overtourism from the mass cruise industry). Though the most famous gargoyles are on Notre Dame de Paris (thanks, Victor Hugo and Disney), one finds gargoyles on most French cathedrals, and Dijon’s Notre Dame Church is no different. 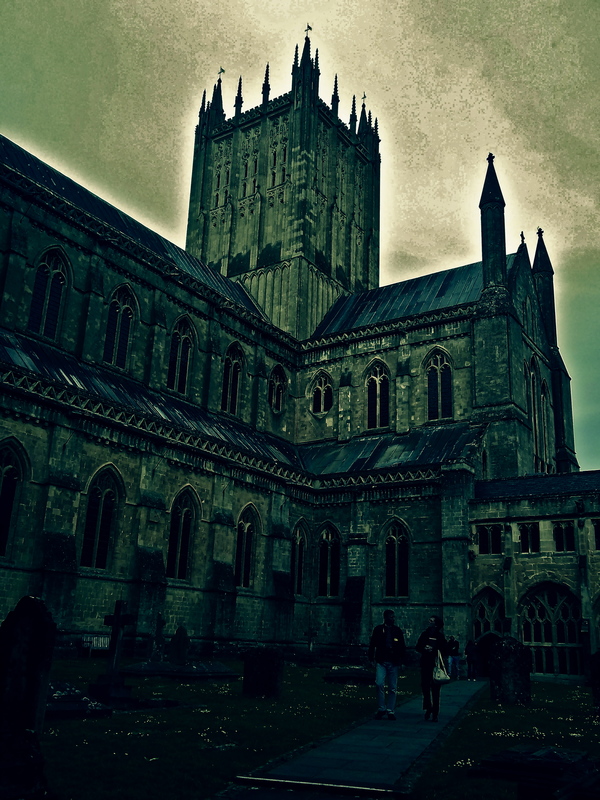 This unusual, square-faced cathedral, commenced in 1230, is a medieval masterpiece. In fact, it contains no less than 51 gargoyles (nearly all mere decorations). Though Notre Dame de Dijon dates back to the Middle Ages, the gargoyles were only carved in the 1880s (around Hugo’s time…). The original facade had many such gargoyles of monsters and men, but local legend states they were all (but one) removed by the friends of a usurer (money lender), who was killed by a falling stone gargoyle on his wedding day. Gargoyles have long held both the fascination and horror of their audiences. While the original purpose was simply to drain water away from a wall, they quickly evolved into displaying grotesque and fantastical designs. The term itself comes from an French word “gargouille,” meaning “throat” (think “gullet”). The idea of the gargoyle is said to have came from an ancient French legend from Rouen, in which St Romanus conquered a terrible winged dragon called La Gargouille who was both long-necked and fire-breathing. Upon slaying it, the city burned La Gargouille’s body but its fireproof head and neck would not burn, so they mounted it on the church walls to ward off the evil spirits (though you’d think that’d ward off good spirits too!). Thus, the idea and name were adapted for fanciful drains sprouting from France’s soaring cathedrals, and Dijon’s gargoyles don’t disappoint: all 51 are fascinatingly fantastic, bizarre, eye-catching and grotesque. Pro tip: The church also contains a small statue of an owl, now the symbol of the city, and said to have magical powers. Find it on the left side of the cathedral and touch it with your left hand to make a wish come true! Also, follow the owl symbols on the ground to discover Dijon’s historical heritage sites. 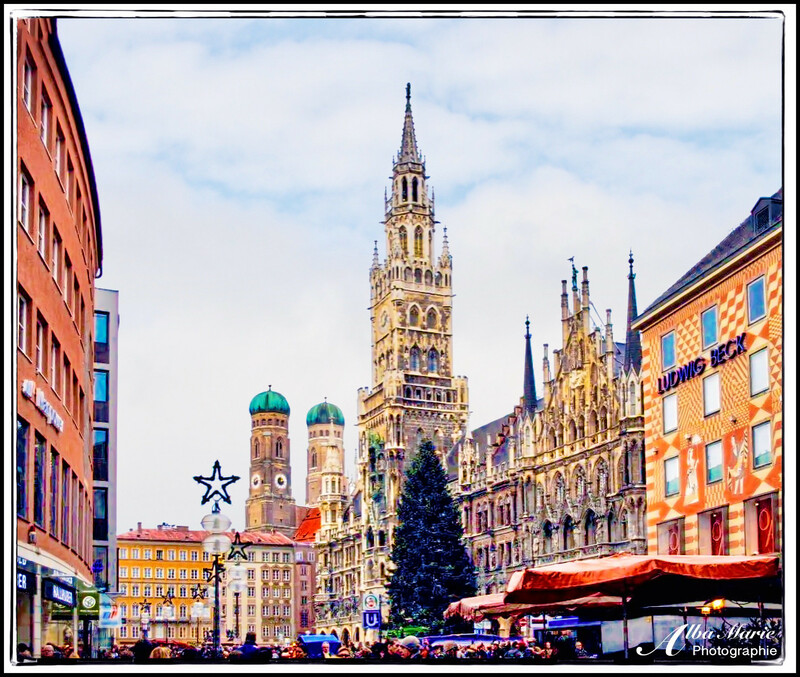 One of Germany’s most beautiful cities is Munich, capital of the famed region of Bavaria. Munich is a city filled with stunning architecture. 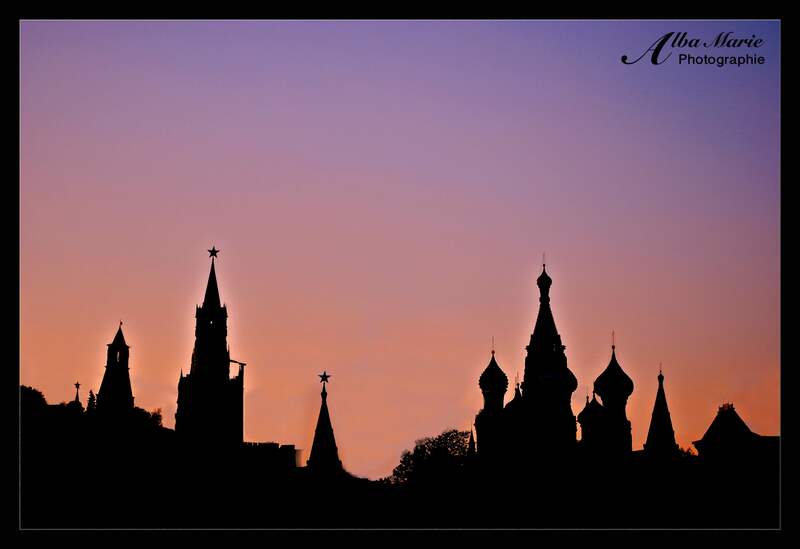 Its skyline is pierced with spires of churches and cathedrals and towers and its ground is laid with cobblestones. The city centre is filled with architectural wonders – palaces, halls, great houses, beer halls, churches, towers. In the above photo, the spire to the right is from the Cathedral of Munich, while the twin spires to the left are from the Frauenkirche. It is in the Frauenkirche where you’ll find a footprint indented in the floor. Legend has it that this is the Devil’s footprint – the builders needed help finishing the church and the devil offered his aid to finish it. From the front door, the columns form an illusion to block all of the windows so the Devil thought that it would be a dark, damp church and no one would want to go there. When he realised that the builders tricked him, he was so angry he stomped his foot down in anger – hence the imprint of a foot on a stone by the door. (A less exciting explanation could be a the footprint of the master builder himself). Whatever you believe, it makes a good story! Pro Tip: Take the free walking tour of Munich as you’ll learn about this legend and more – a perfect introduction to Munich! Welcome to Ostrów Tumski, or Cathedral Island, hugging the Odra River in the centre of Wrocław. The oldest region of the city, Ostrów Tumski is no longer an island, though this ancient place is still home to some of Wrocław’s most impressive religious sites, as well as adorable cobblestoned streets. The orange-roofed Church of the Holy Cross is a brick, Gothic-style church that was once used by ethnic Germans while the city was still behind German lines before WWII (Wrocław has at times been a part of Poland, Bohemia, Hungary, Habsburg Monarchy, Prussia, German Empire, Weimar Republic and Nazi Germany). 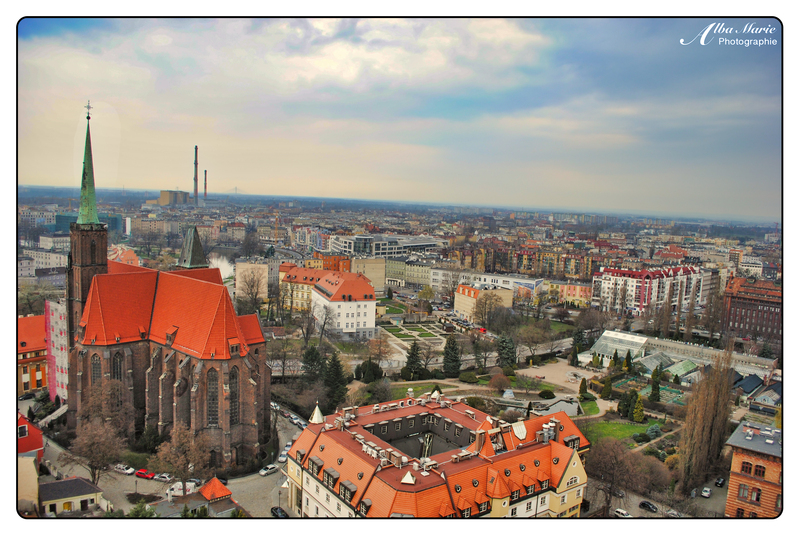 For both a bird’s eye view and a dive into the religious and civil history of the city, a visit to Wrocław Cathedral is in order – culminating with a not-for-the-faint-hearted climb up one of its massive towers. The origins of the present structure date to the 1150s after the Polish conquest of the region of Silesia and the founding of Wrocław as its capital, though the cathedral was rebuilt following various trending styles through the ages. Today a thriving student town as well as one of Poland‘s (and Eastern Europe‘s) most important financial, cultural and commercial hubs, Wrocław is place of beauty, intrigue, and good-natured charm. 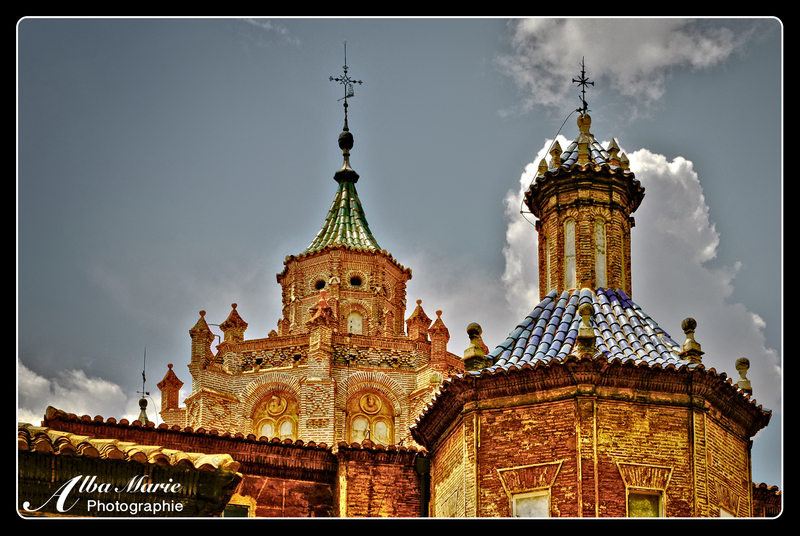 The sun shines brightly on the ornate Teruel Cathedral in the city of the same name, located in eastern Spain. An exceptional example of Mudejar architecture, the cathedral dates back to 1171 when Teruel itself was founded by Alfonso II of Aragon. Originally constructed in Romanesque style, it was later much renovated at the end of the 1200s to fit the Mudajar style, with further modifications in the 1300s, by Jozaff the Morisco (a term used to describe Muslims who were forcibly converted to Christianity but who often still secretly practiced Islam). As this cathedral is one of the best examples of Mudajar architecture in Spain, it is of great interest to historians, architects and scholars – but also those who are searching for great beauty. The inside of the cathedral is just as beautiful as the outside; the ceiling is of particular beauty. For clarification, Mudajar is the term used to describe the Moors or individual Muslims who remained on the Iberian Peninsula after the famed Reconquista by the Christians. As they did not convert, they developed their own culture and style, of which many buildings remain to this day. Are lampposts tasty? 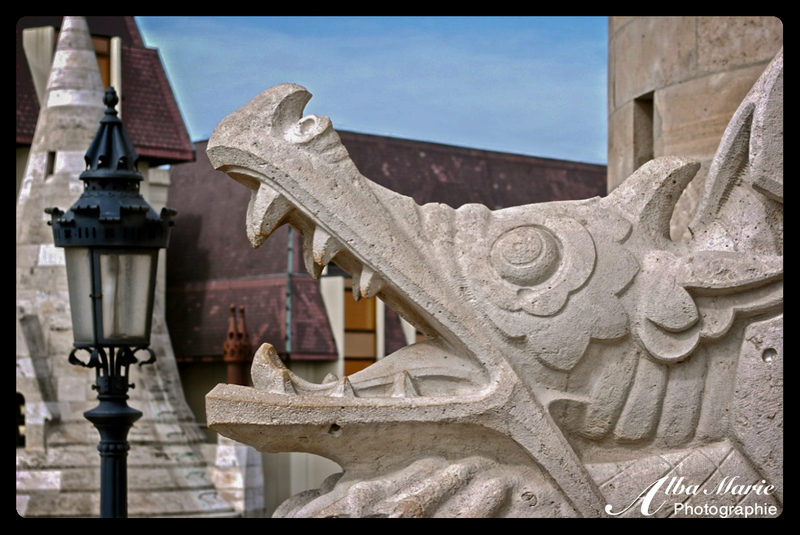 This Hungarian gargoyle seems to think so! Gargoyles have always held a sort of fascination. In simple terms, they are a way of evacuating water from roofs to keep the water from running down the walls and weakening the mortar – but a gargoyle is so much more than a drain. No, gargoyles are indicative of the story, of the culture, of the hidden fears of a the people who carved them. Early gargoyles from Egyptian, Roman or Greek ruins show little variation but by the middle ages, gargoyles had become an art. Largely elongated, grotesque, mythical creatures, some take the shape of monks or existing animals, and are often comical. The most famous gargoyles are of course that of Notre Dame de Paris but most cathedrals and many churches, fortifications, castles and manors have them. Legend has it that St Romanus saved Rouen (France) from a terrible dragon-like creature he called the “gargouille” or gargoyle (etymology “gar” = “throat”). The local people burned the body but the head would not burn (since it was made to resist its own fire), so they mounted the head on the cathedral to ward off evil spirits – a practice that was repeated over and over again in stone. Whether true or not, gargoyles have been warding off gutter water for centuries, and will continue to do so as times go on, because the rain won’t stop falling! Latvia—like its neighbours Lithuania, Estonia, Poland, etc—was once a part of the Russian Empire, and the Russians, as you know, are orthodox. Therefore, in the years 1867-83, the Russians got to work constructing an orthodox house of worship in the centre of Riga, Latvia’s capital. Built in the Neo-Byzantine style, Riga’s cathedral still stands proudly in the in downtown Riga. While other ex-Russian satellite nations have torn down their cathedrals (*cough Poland cough*), Riga still has one right in the centre. Despite the mostly-negative impact of Russian occupation of the Baltic States, it is important to remember and recognise all aspects of history—and to appreciate culture and beauty. Because the Nativity of Christ Cathedral is beautiful! 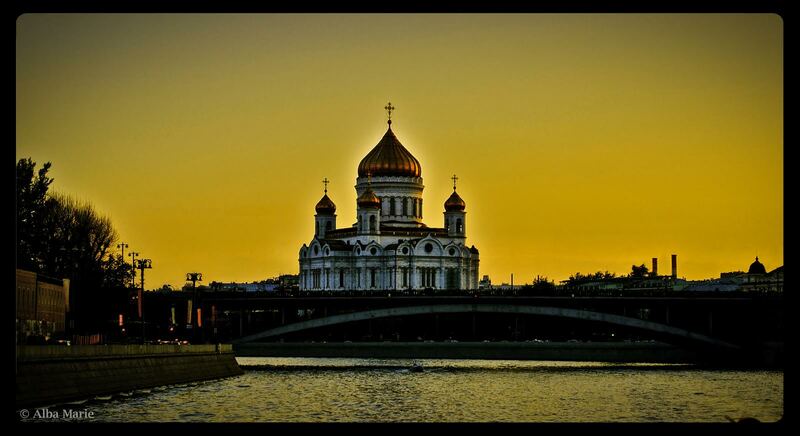 Russian Orthodox cathedrals usually are. 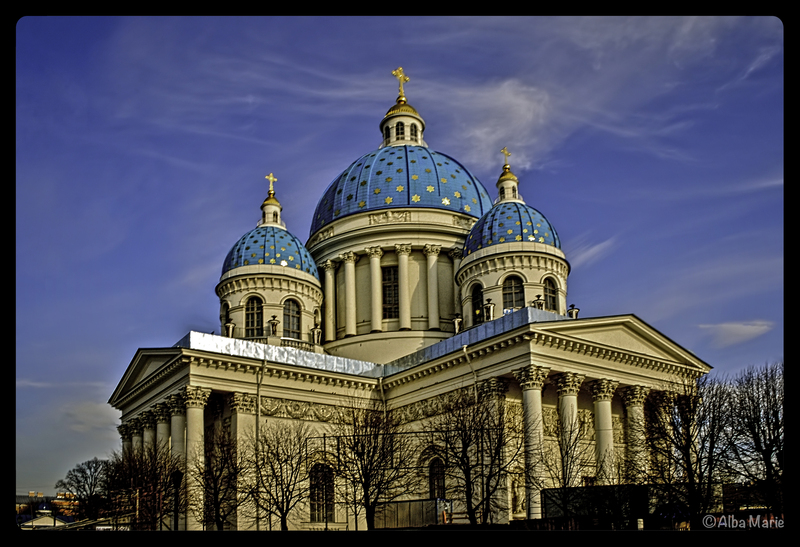 The biggest Orthodox cathedral in the Baltics, it was commissioned by Tsar Alexander II. The church was briefly a Lutheran cathedral—and later a planetarium in the early days of independent Latvia—but since 1991, it has been restored to its original design. And now today, it resembles a delicious gateau enough to make my mouth water…! In light of Kiev‘s recent, rather negative ascent to the spotlight, I thought I’d turn tables and show the beautiful side of the Ukrainian capital. Here is St Andrew’s Church (which also happens to be my favourite church I’ve so far visited), reaching for the heavens with its beautiful bejewelled turquoise dome. According to legend, St Andrew had planted a cross on this exact site, proclaiming that one day, it would be the site of a ‘great Christian city.’ Not exactly a cathedral, St Andrew’s namesake is no ordinary church either. Commissioned by the famous Catherine the Great, built by the famed Italian architect Bartolomeo Rastrelli who had a penchant for extravagance and opulence (architect of St Petersburg‘s Winter Palace and Smolny Cathedral), and named for St. Andrew, the patron saint of Kiev, St Andrew’s Church was constructed in the years 1747-54 in Baroque style. However, for some reason, Catherine wasn’t pleased, and poor Rastrelli was fired. Apparently, she had no taste for beauty because today, Андріївська церкваone is one of the most beautiful buildings not only in Kiev, but in the entire continent. Pictures cannot convey the essence and beauty of Bath. Bath, to me, is one of the top 5 prettiest cities in Europe. Bath also happens to be my home, having studied there 3 years ago (I have a lot of homes). It is my dream to one day move back, or really, just move back to anywhere in the UK, my favourite country. This is the cathedral square, which also happens to be the entrance to the famous Roman Baths. Bath was established by the Romans in 60 AD, not long after they arrived in Britain. Upon finding the hot springs here, they built the spa town, Aquae Solis, and much later, Edgar was crowned king here in 973, at Bath Abbey, upon which we are currently standing. Founded in the 7th century, Bath Abbey was rebuilt 12th-16th, today, standing standing as proud as it ever did. 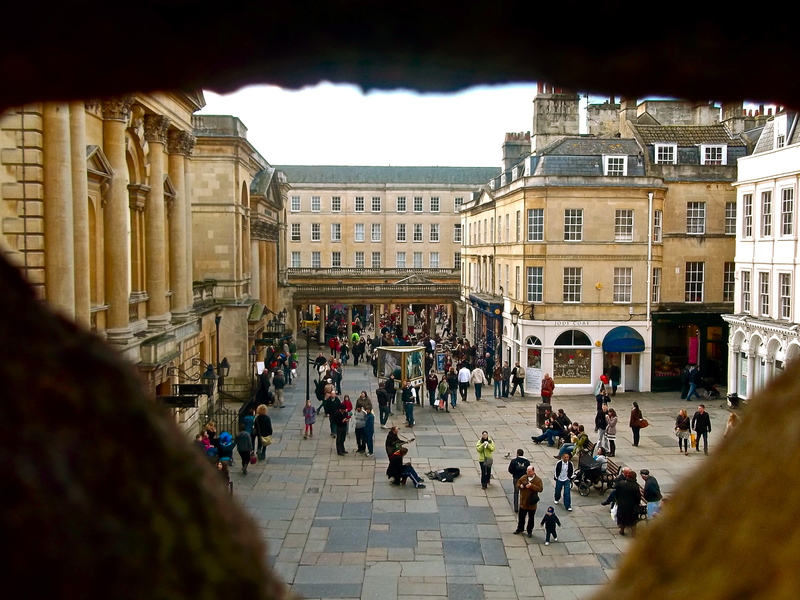 Bath is a city built of limestone (from the nearby quarry). In the 19th century, it was as black as coal (because of the coal) but today, it has been restored to its original, lovely state. As a UNESCO site, it is more beautiful than you can ever imagine. Pro tip: Take a tour of the tower of Bath Abbey for a fascinating background of the Abbey’s history as well as aerial views of the city! Be sure to taste a Cornish pasty (a savoury sort of closed sandwich) when in town. Also a hike up the hill to Sham Castle is well worth the walk! What would Barcelona be without Antonia, Gaudi? Barcelona is unimaginable without the genius Spanish architect. Casa Mila, Casa Batllo, Parc Guell…the list goes on and on. 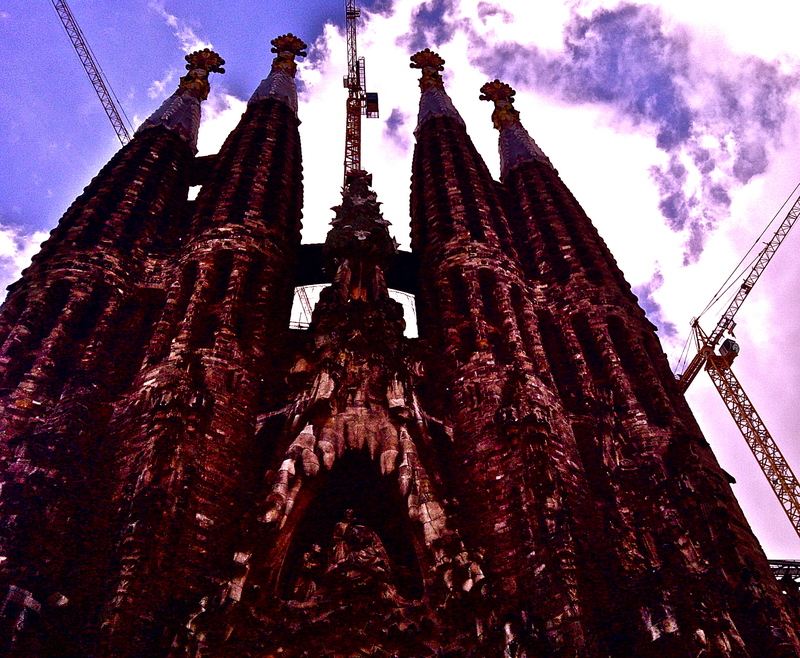 Most of the city’s beloved symbols are the result of Gaudi. The building of Gaudi’s Art Nouveau cathedral, Sagrada Familia, commenced in 1882, and still continues today (hence the cranes), for Gaudi died without finishing his masterpiece. The cathedral is spectacular–on on side, large statues tower over the visitor, inside, columns shaped like trees create an immense, petrified forest, and the other side sports an impressive Gothic facade, carvings covering every inch of stone. Brave visitors can take an elevator to the top, affording both spectacular views of the beautiful city and an up-close look at Gaudi’s architecture, much of which was inspired by the natural world (be prepared to come face-to-face with towers clearly inspired by fruit, among others). Not surprisingly, this amazing beauty is a UNESCO monument, and is a must-see when visiting the famous Spanish city. 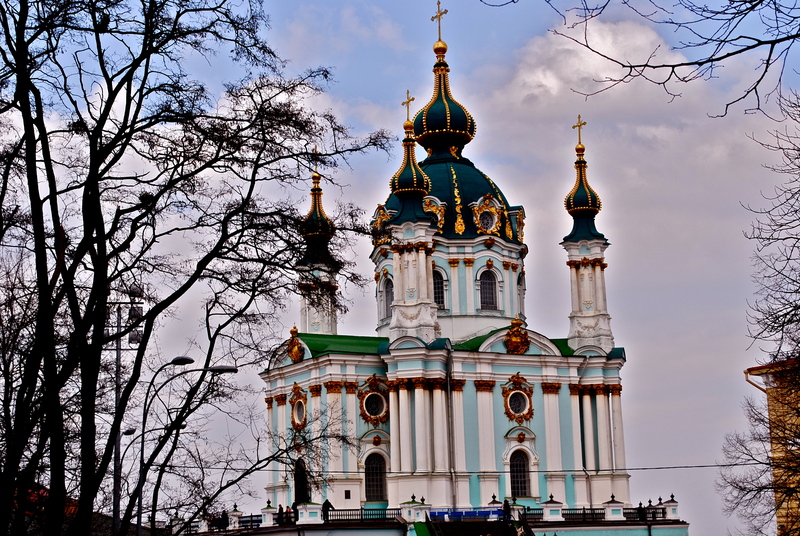 After having seen the orthodox cathedrals in Kiev – wildly colourful, crazily textured, beautifully gilded, onion-dome topped, with every inch carefully painted, I will never look at a cathedral the same way. Western cathedrals, while impressive and beautiful, rarely stand out from each other. 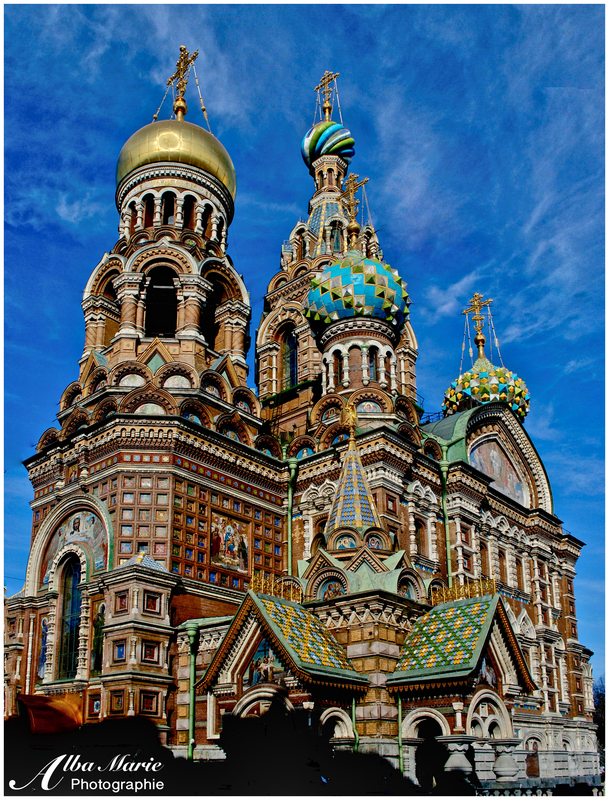 But Eastern Orthodox cathedrals – each one is a separate work of art, each one is different, unique. This is St. Panteleimon’s, built in Russian Revival design between 1905 and 1912, so it is not terribly old in comparison with other religious structures in Europe. Some say it resembles the Nevski Cathedral in Tallinn – and there is some resemblance! St. Pan’s was intended to serve as a branch of St Michael’s Golden-Domed Monastery, but was closed and looted in WWII. Today, it is only a hollow shell which has been restored as the main church of a nunnery. It rests in the quiet, suburban park of Feofaniya (getting there is tricky because the Ukrainians don’t post bus signs or if they do, they are in Cyrillic. From M. Libidska take bus 11 or 156 to the last stop) on 1.5 km2 acres of land. It makes a lovely backdrop for an afternoon stroll! 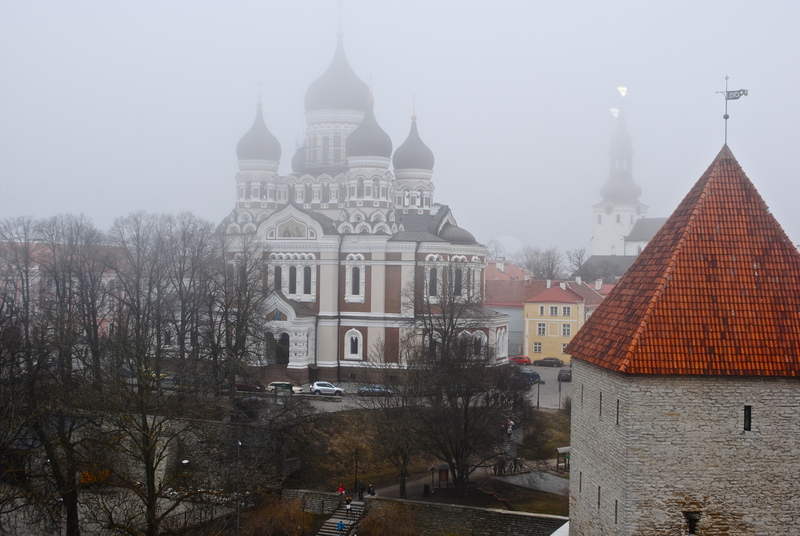 I have fallen in love with a new European nook–Tallinn, Estonia, a place that most people don’t even know exists. This fog-laden Nevski Cathedral isn’t exactly old, only dating back to about 1894. 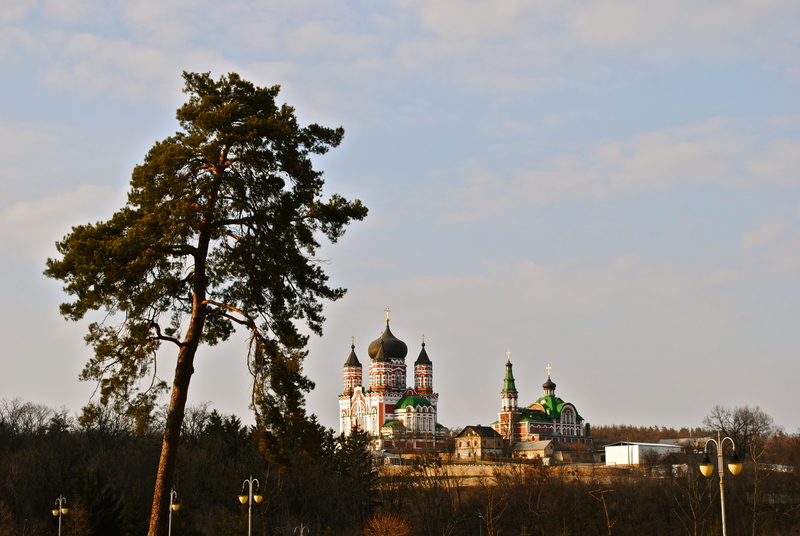 Built during the Russian occupation of Estonia, it is of course built in the Russian Revival style, giving the city a fairy-tale look (it has been said that it resembles St. Panteleimon’s Cathedral in Kiev. Also as a side-note, I just learned that there used to be an impressive Alexander Nevski Cathedral in my former city of Warsaw, demolished 1920. I lived there 1 year, and this was the first I’ve heard if it! A shame too–it looked beautiful). Not that Tallinn needs too much help at looking beautiful or charming; much of the city walls, towers, and gates have survived the wars, and as a result, the remarkably extensive old town becomes a sea of 800 year-old stone and red-clay roofs lost in the clouds! Tallinn is truly straight out of a book of fairy tales! Liverpool is well-known as home to the Beatles. However, it doesn’t have the best reputation and is often ignored by tourists and Brits alike. 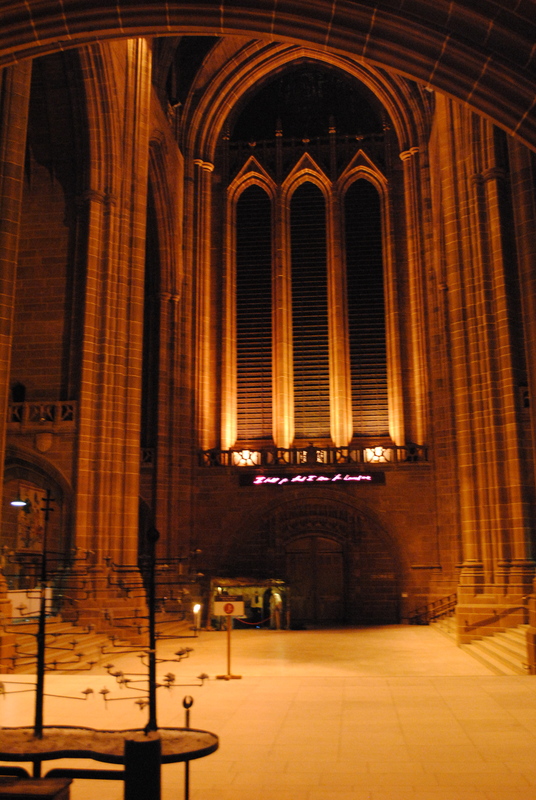 Liverpool has its own little gems though – such as Liverpool Cathedral. Although this cathedral is only about 100 years old, it is the second longest cathedral and is just as beautiful as any older building. Liverpool is relatively unique in housing more than one cathedral, joining only a handful of other British cities that also have two cathedrals!